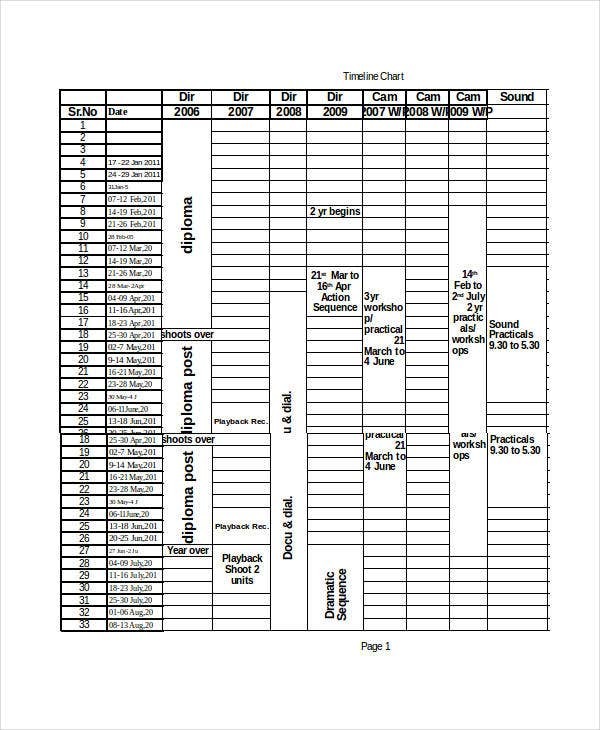 An Excel timeline is the document where you can see all the activities that you need to do at a given period of time. It is already arranged accordingly, which makes it easier for you to allot a particular time frame in executing the tasks that you are expected to finish. It is very beneficial for a person who needs to be organized or a company or an organization that would like the proper usage of their time for business operation practices and procedures. If you want to see more samples of Excel timelines, then you may download our samples of Microsoft Excel timeline templates. They will help you to know the proper arrangements that you may apply to your own timeline. 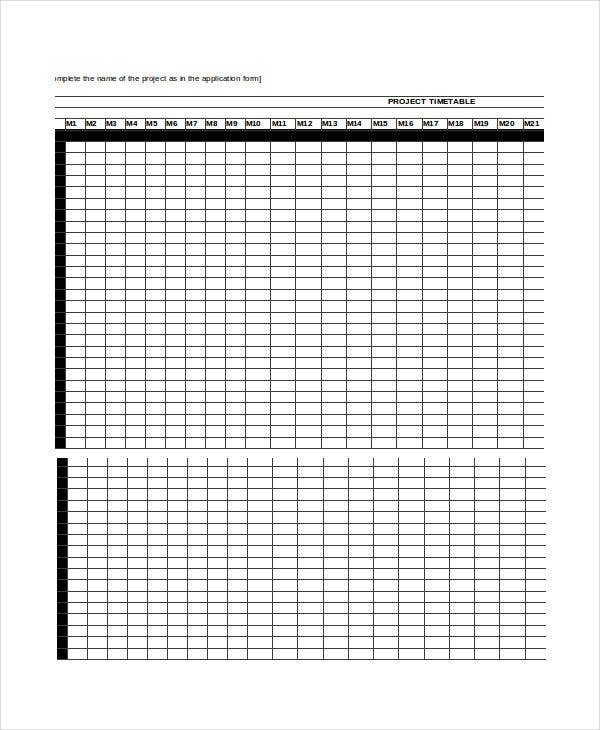 Also, we can provide you with other kinds of Timeline Templates usable for other activities that you need to schedule. Review the Excel functions, shortcuts, and keys as it will allow you to navigate, edit, and update the timeline properly. 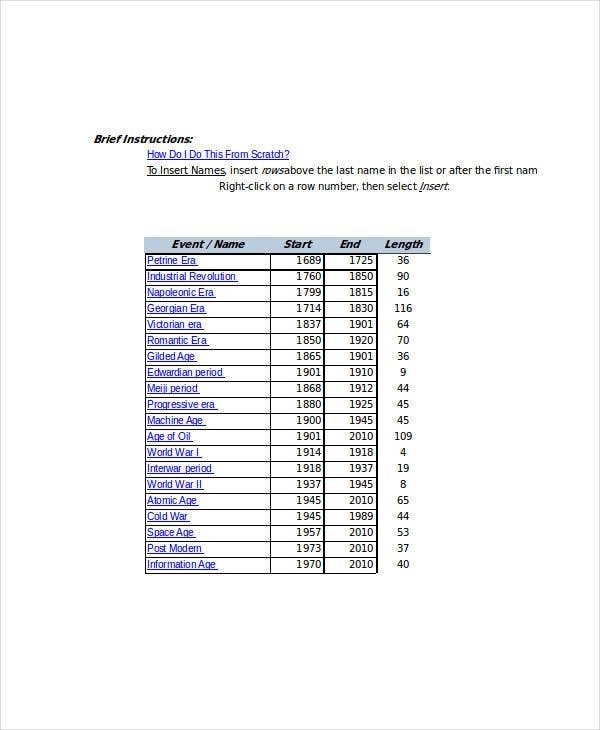 Know the accurate allocation of rows and columns as it is fundamental to have the right foundation so it will be easier for you to just input data and other information. Know the details that you will put and create a draft first before creating the timeline in an Excel document so it will be easier for you to supply the needed headings of the document. Know the nature of the timeline that you will create and its purpose of usage. Know the duration of time that a particular Excel timeline will cover so you will know the number of Excel pages that you will use if the activities included in a specific project can be broken down to various time frames. 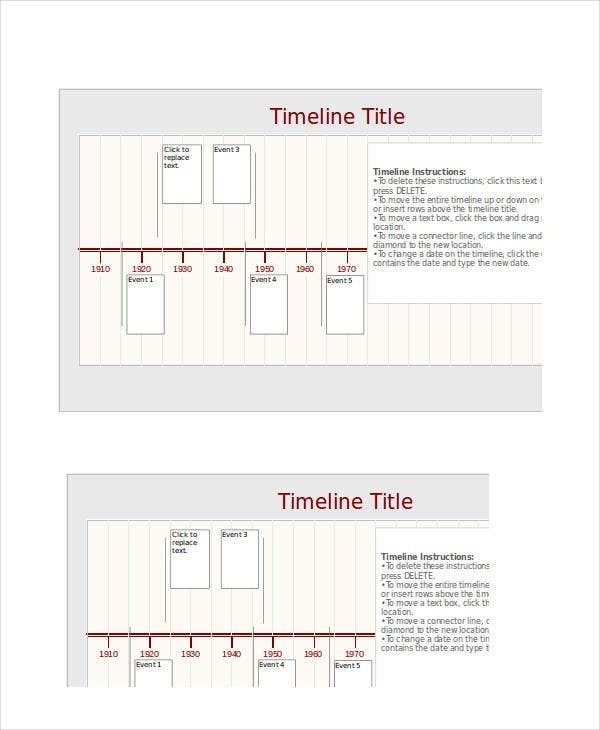 Other than our samples of Excel timeline templates, our samples of blank timeline templates are also available for download if you want to have references in creating the structure and body of a basic timeline. 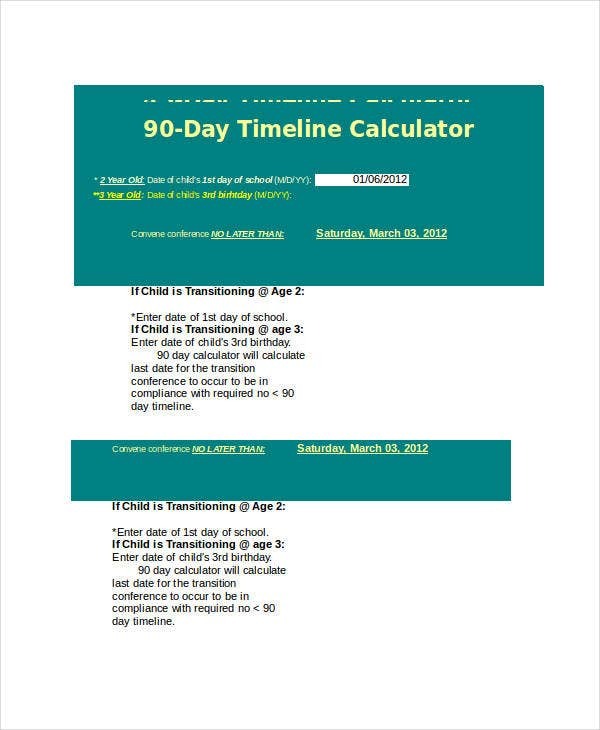 Where Can I Use an Excel Timeline? It can be a personal guide that an individual may use to track his or her activities, appointments, and work-related functions. It can be used by companies to know if the activities of different departments are already implemented and if specific programs for the business operations are already done in the time frame that is expected to be executed. It can be used to track various transactions and happenings that have occurred in a specific time duration. An Excel timeline can also serve as the scheduling of employees for their working hours on a daily basis. 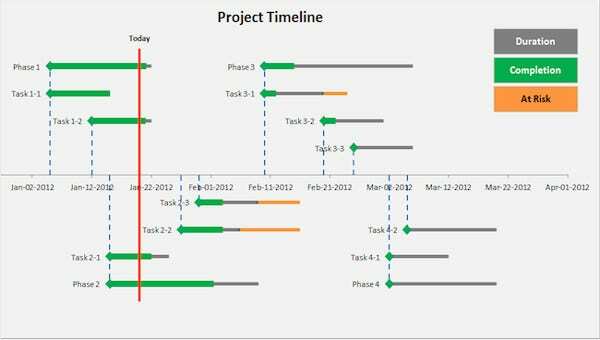 Excel timelines are also helpful to know the steps that are needed to be done for a project to reach its stage of completion. 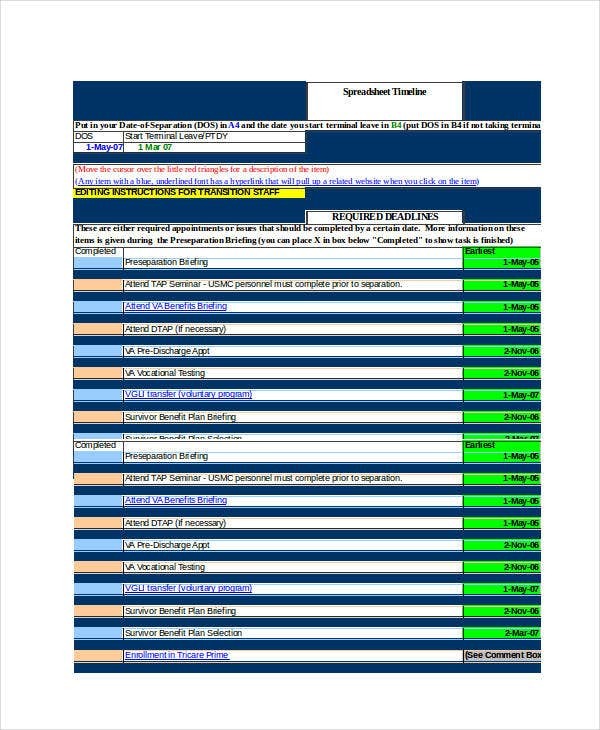 Aside from our Excel timeline templates and samples, you may also be interested to browse through and download our samples of Project timeline templates if you want to have guides in creating this specific kind of timeline concerned in the time allotment and scheduling needed for a project to be done. 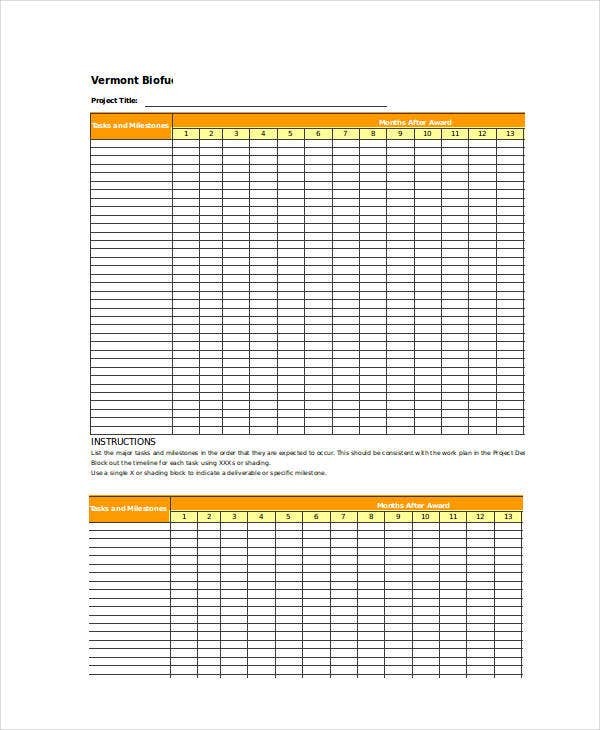 Price Sheet Templates – 13+ Free PDF Documents Download!